Newly renovated and beautifully designed, this oversized pre-war condominium is now available with a tenant in place through summer 2018. 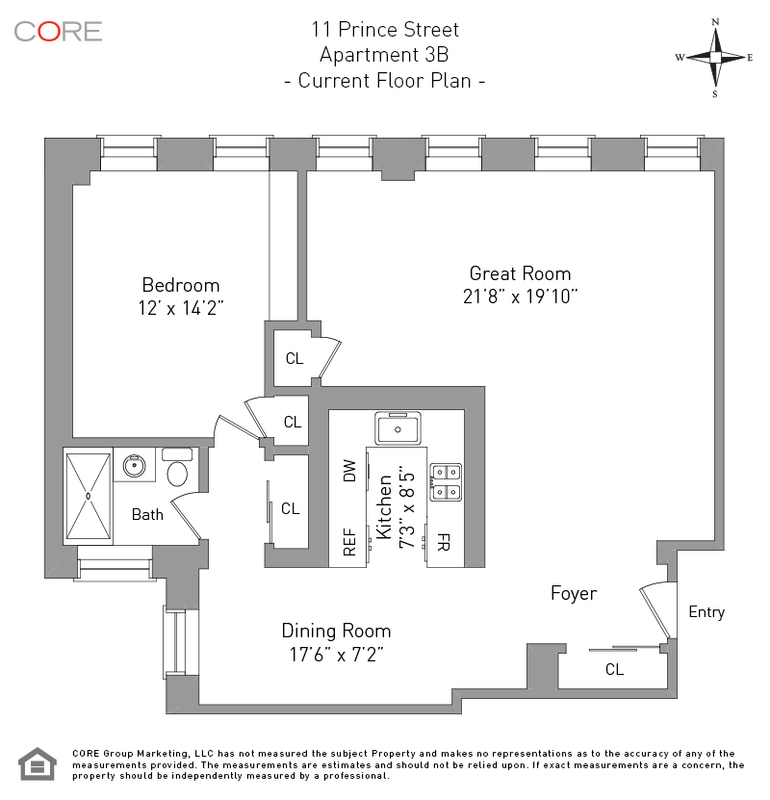 Originally configured as a two-bedroom, 3B has since been opened up to maximize light and space. 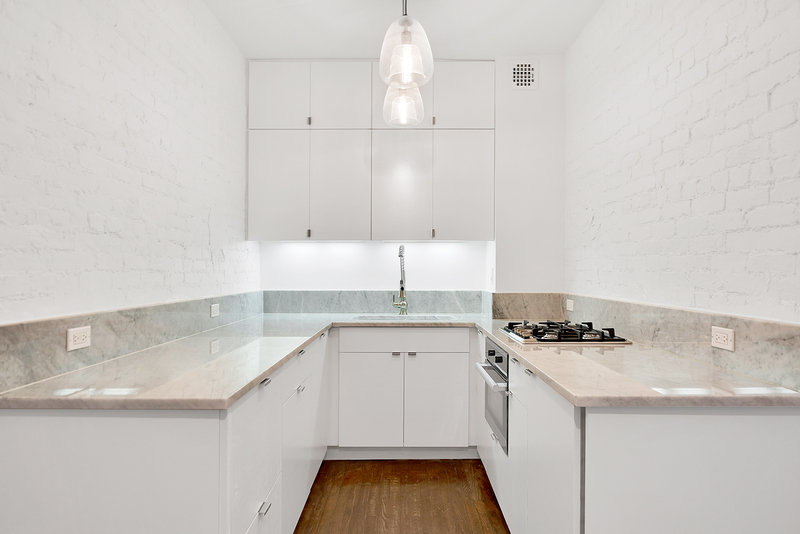 At approximately 910 square feet, the apartment features eight windows facing north, south and west, approximately 10-foot ceilings, exposed brick painted white and tons of closet space. The great room is ideal for entertaining or can be sectioned off into living, formal dining and an additional alcove for a home office or a proper second bedroom. The brand new designer kitchen is outfitted with Carrara marble countertops, white custom cabinetry, a Miele and Viking appliance package with under mounted farm sink and a double drawer refrigerator. The windowed bathroom features a large walk-in shower, pedestal sink and subway patterned Carrara marble throughout. The bedroom is bright, quiet and large enough for a king size bed plus extra furniture for additional storage or seating.